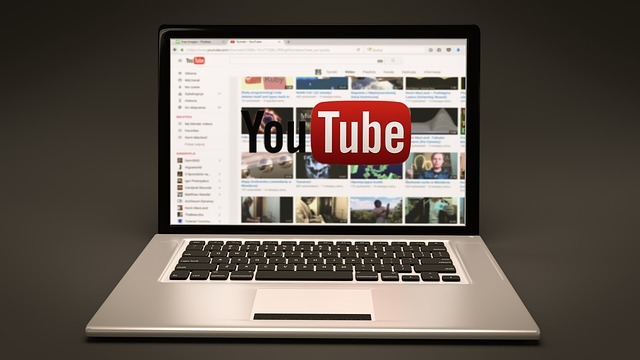 YouTube is the world’s largest video sharing service developed by the three PayPal employees in America – Chad Hurley, Steve Chen and Jawed Karim in the year 2005. It was later bought by the Google in November 2006 and since then, this website works as one of its subsidiaries. It is the only social media platform which receives more than 3 billion views in a day. Though developed in the U.S, studies show that more than 70% of its traffic is from the other countries. Being in a technologically advanced world, we depend on the internet to perform a lot of activities on a daily basis. With a social media platform like YouTube, understanding complex issues and marketing has become easier. One of the major advantages of this platform is that it doesn’t charge any fee for uploading or downloading the videos. This, in fact, has led to the wide use of YouTube in the various sectors of the economy. A large number of marketing and ad agencies have benefitted from this video sharing website. Promotions, offers, and discounts for the products can easily be reached across the world via YouTube. It is also easy to figure out the number of views received for a particular video. If required, the marketing professional can also create channels of their own through which they can create a separate library of videos. These channels can be created at no additional costs, but if you wish to create a branded channel, then you might have to pay for it. YouTube also allows the marketers to create keywords so that, their videos will be included on the page when a user types a specific search word. The opportunities for the marketers can be further increased by paying a specific amount to display their ads on the homepage or to run them beside the other videos being played. The business sector has indeed advanced with the help of YouTube. There is no other option to understand the concepts and rules of a business better other than through detailed videos. Rather than reading a detailed description of a company and how it functions, people prefer to use videos to comprehend them better. Advertising is a must in the field of business to promote your products and thus enhance your reputation. People all over the world can easily navigate through your videos with this website. All the videos are provided with the option to allow the customers to post their reviews and complaints. This helps you to keep track on how well a product of yours has been received by the global audience. The instant reaction of the customers can be noted down, which will help you to rectify your mistakes and improve the quality of your product. One of the other advantages of using YouTube is that you can communicate with the customers more easily. By responding to the comments displayed below your videos, you can easily connect with the people and let them know that you value their feedback. This also helps to create a bond of trust between you and your clients. Many small-scale businesses also use this platform to create awareness of their venture. This helps them to expand their business on a large-scale. The educational institutions have now learned to embrace the technology to enhance their entire system and also to improve the standards of the students. It may not always be possible for a teacher to give attention to all the students equally. Thus, children with a low-grasping capacity, sometimes find it difficult to understand complex topics. This issue is nowadays, tackled with the help of YouTube. Through the videos, any student can easily understand even the most complicated problems with ease. The video lessons can also be replayed any number of times and thus help the students to note down all the important points required. Online tutoring videos further help the students to learn better than with the traditional system of education. One of the major attributes of YouTube is that, with a stable internet access, it can be viewed at any time and anywhere. These videos also help and encourage the students to create videos of their own and publish via YouTube. YouTube, to be precise, is an inevitable social media platform in the current world. Whether it is in the e-learning or in business, it has a very crucial role to play in it. Irrespective of the degree of complexity, YouTube helps all its users to have a better clarity on all the relevant issues.